Tend to turn sharp to the left when thrown flat, straight, with medium power for right handed back hand throws (RHBH). Opposite for left handed players. The faster the speed of release, the less sharp the turn to the left. 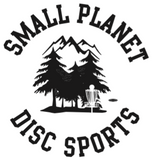 Beginners should avoid choosing discs form this category. Overstable Putt & Approach Discs. Plastic Blend Types Effect on Stability: On many occasions manufacturers will produce the same disc mold in a variety of plastic blends. Different plastic blends will affect the overall stability of the same disc mold. There will be minor differences in flight numbers ratings within the same mold, when made from different plastics blends. In addition, the more durable plastic blends will retain flight numbers ratings for a longer period of time. For full information on all the different plastic blends, please refer to each manufacturer plastic types information page.